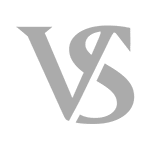 Racine County Criminal Defense : Meyer Van Severen, S.C. If you need need Racine County criminal defense, contact Milwaukee defense attorneys Matthew R. Meyer and Benjamin Van Severen for help. Our Milwaukee, Wisconsin based criminal defense lawyers can help you. Meyer and Van Severen regularly practice in Racine County and often get clients positive results. The Racine district attorney’s office prosecutes crimes aggressively. If you’re charged with a crime in Racine it’s important that you have a defense attorney ready to fight for you. Racine County, like many other communities, currently sees heroin as public enemy number one. If you’re facing a crime involving heroin, other drugs, or any other crime, having a Racine County criminal defense attorney battling for you can make the process easier. Fortunately, not everyone in Racine County is trying to put you in jail. The Sheriff, Christopher Schmaling, recently took to giving out free drug test kits to members of the community. According to Fox 6, Schmaling recognizes that police cannot simply “arrest away” drug crimes. Our defense lawyers agrees with Schmaling. Unfortunately, police aren’t always as friendly in real life as they are in the media. In a recent Racine case, Attorney Meyer was able to negotiate a serious domestic violence charge down to a non-domestic violence probation sentence. Such a result is important if you are a firearm owner, as a domestic violence conviction will prohibit you from owning firearms the rest of your life. If you enjoy hunting, as many citizens in Wisconsin do, accepting a domestic violence conviction will hamper that pastime. The government will take away your guns if you are convicted of domestic violence. Hire an aggressive defense attorney who knows how to protect that right. Contact Meyer Van Severen, S.C. at (414) 270-0202 to set up a free consultation with a criminal defense attorney. Phone calls are answered 24 hours a day, 7 days a week, so don’t hesitate. If you need Racine County criminal defense, our defense firm can help.